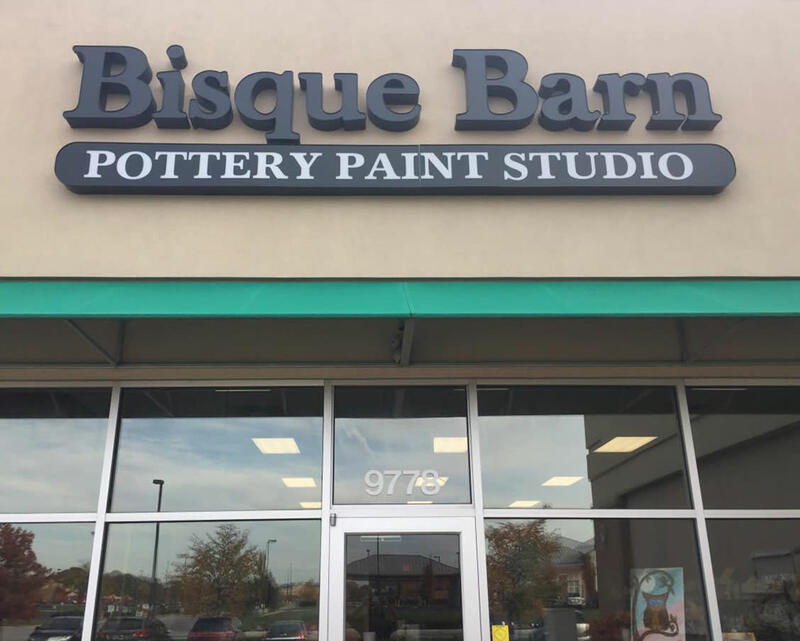 The Bisque Barn provides the perfect setting for a girl's night out, date night or a birthday party. Choose from more than 200 pieces of pottery and an ever-changing array of homemade wood projects including signs and picture frames that will be available for you to customize with paint, stamps, stencils and more! 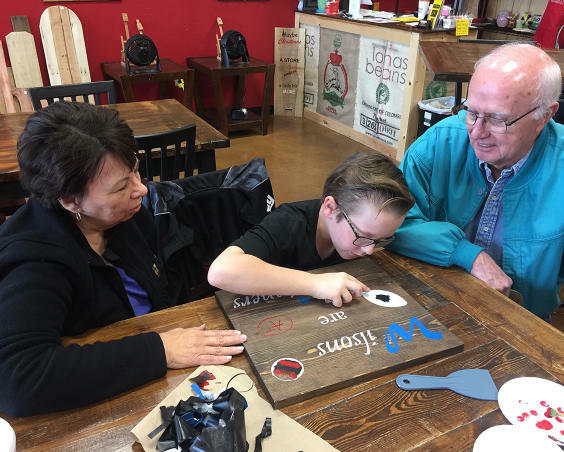 You pick your favorite piece, the colors and design and use our studio and supplies to create your masterpiece. We will clean up after you and you will have a one of a kind treasure to give as a gift or keep as a lasting memory. Our party room is available by reservation for groups of up to 16 people if you prefer a private setting. The best part - No Experience Necessary! Our friendly staff will help with what ever you need - design, color or technique, we will stand by you through it all!